We’re pleased to announce that Alyssa Pusa has joined the team at Berghammer as Project Coordinator. 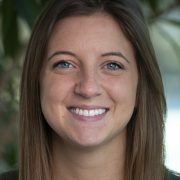 Alyssa is a 2016 graduate of UW-Stevens Point and comes to Berghammer most recently from a staffing firm which specializes in placing skilled craftsmen. She lives in Milwaukee where she loves to cheer on the Bucks, participate in 5K races and spend time doing outdoor activities.